Looking for a legal, safe way to trade binary options online in the USA? You are in luck. There is finally a regulated answer, and it is called Nadex. Nadex is one of the few exchanges in the world which is regulated by the CFTC. But the benefits of Nadex go far beyond the fact that the site is regulated. Nadex offers a lot of amazing features and a different way of doing things. I have gone into this extensively already in a few different articles. – Nadex’s trading platform is a little complicated. Get the skinny on how to place a trade here. I have made it as simple as possible. – Read this for an overview of one of the best exchanges in existence. – Nadex has dozens of indicators and drawing tools built right into the platform. Learn what they all are here and how you can use them to profit. – As a price action trader, I could not resist jumping into this topic. This is one of the simplest and most versatile trading methods in existence. – and, er, … you! What I want to focus on in this article specifically is how Nadex can change the way you approach trading—and hopefully make you a more profitable trader as a direct result. Basically, I have focused on the benefits of Nadex already. You are going to be trading with a regulated exchange that stores your funds in a segregated account. Nadex offers amazing transparency and friendly terms of service. Nadex never trades against you. You get access to a demo account with no restrictions or strings attached. Nadex does not restrict your withdrawals. Super high payouts are offered on winning trades (100%+). You can use early close in any way you wish (you can close out of trades whether they are winning or losing). The trading platform offers dozens of technical indicators and drawing tools you can use to plan your trades. I want to focus now on how those benefits can revolutionize your trading. 1. You will feel secure depositing money and trading. I think this is actually a big deal—at least for anyone who cares about their money. There is nothing more annoying than knowing you have what it takes to be a great trader, but not feeling like you can safely get started. If this is you and you have been on the fence about binary options online trading all this time, seriously take a look at Nadex and think about investing. This company has a very solid reputation. You can look up their regulatory information directly with the CFTC. This is by far the most trustworthy binary options online site that we have ever reviewed. When you deposit your money with this company, it will be safe. It is stored in a segregated fund separate from the company’s money. You can withdraw at any time without weird fees and delays. Nadex will never take a position against you and will never be invested in you losing trades. On the contrary, Nadex wants you around. All traders pay very low commissions on all trades, whether they win or lose. Nadex needs you to become a repeat customer, so they are invested in your success. If knowing you can trade securely makes the difference between whether you invest or not, Nadex’s regulatory status and company policies literally could make all the difference in the world! 2. When you win, you will win more. The word “commissions” may send a lot of traders running for the hills, but it shouldn’t. It actually should make you happy, because it means you have a chance to win a lot more money than you do through other binary options online sites. What does your current site pay you on a winning trade? 75%? 85%? Imagine winning payouts of 200% or more. That is what Nadex offers on most of its trades. You only see payouts like that for One Touch trades on other sites. With Nadex, huge payouts are the norm, not the exception. Why this is possible should make intuitive sense to you if you think about it. Other brokers position themselves against their traders. If their traders lose, they win, and if their traders win, they lose. While this probably still works out most of the time in the broker’s favor, you can see how they might sometimes have a hard time profiting reliably. Nadex is always making money on commissions. This reliable, steady influx of money makes it possible for the company to offer bigger payouts on a continuous basis to winning traders. One winning trade on Nadex is like two or three winning trades on a competing website! Think how much faster you could profit. You may even be able to succeed with a lower overall win percentage. 3. You will stop messing around with costly bonuses. 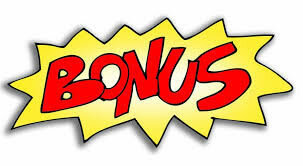 One of the biggest selling points on most binary options online sites is huge match bonuses. This is very much in the tradition of online casinos (see why ). If you are here to gamble and have fun, by all means, go on trading on websites that give out big bonuses. But if you are serious about making money, you know that bonuses often mean trouble. They have strings attached in the form of turnover requirements. You need to turn over the amount of the bonus (and sometimes the initial deposit) 30-40 times to claim the bonus money as your own. Until then, it sits in your account pretending to be yours, all the while throwing off your money management calculations. This can result in you accidentally investing a higher percentage of your true account funds than you meant to, and before you know it, you are all out of money. If you really want to become a profitable trader, you will quit messing around with bonus money altogether. If you switch to trading at Nadex, this will happen automatically. You will no longer be playing with money that is not yours. Nadex offers something much more useful—free trading days. The bigger your initial deposit, the more commission-free days you can enjoy. Just getting away from bonuses can save you all kinds of money in the long run. It will help you to get on track with your money management plan and to monitor and utilize your funds more carefully. 4. You will go through some extra effort to learn to trade. You can zoom in time frames, out, use technical tools, drawings and more. I have mentioned that the . The tickets (the windows you use to place your trade orders) can be downright baffling, especially if you have never traded Forex before (Nadex uses a setup which is similar to FX trading). All of that might sound like a huge disadvantage, but I think in a way it is a blessing in disguise. Why? Well, you have to actually think about trading to invest on Nadex. In a way, many other trading sites make it way too easy to invest. “Just click High or Low and win easy money!” That is the message that other binary options online sites send. Trading profitably is not easy, though. It takes time, hard work, and dedication to make a living with binary options online. People who are unwilling to make that effort are not going to succeed. Nadex discourages that whole “easy money” mindset. They are gearing their services at serious traders. If you are not willing to put in the effort to understand Nadex tickets, how will you find the motivation to put in the effort to actually learn how to trade? In that sense, Nadex’s setup is a bit of a litmus test. Think of it as a reminder of all the hard work still ahead of you. Think about your reasons for trading and whether you really are willing to walk the hard path to profits. If you are, good for you. You may have what it takes to actually make it. 5. You can demo test for as long as you need to before you trade live. If there is one single thing that can turn your trading career around and catapult you to success, it may be this. I mentioned Forex a moment ago. One thing I love about Forex and cannot stand about binary options online is that FX brokers usually encourage demo testing, whereas binary options online sites discourage it. How do binary trading sites discourage demo testing? Well, the vast majority of them do not make it available at all. That is a pretty clear message. This probably comes back to the whole thing about sites trading against investors. Binary options sites that take a position against you do not want you to win. But Nadex doesn’t operate that way, and does want you to do well. In Forex, demo testing is a foundation stone in trading. It is drilled into traders’ heads time and again on broker sites, blogs, and educational sites that they must demo test in order to trade successfully. That is the truth with any form of investing, including binary options online. You will make stupid mistakes executing trades because you did not practice with the platform. You will have no data on whether your trading method works in real-time. You may as well walk blindfolded along a cliff edge. You will not have a clue how to trade in real-time. Even if your system could be profitable if you were available 24/7 to trade, you have not figured out how to deal with obligations like your day job, sleeping, etc. Demo testing will ensure that 1-you understand the trading platform and how to use it, 2-that you are working with a system that can generate winning results, and 3-that you are ready to navigate around real-time obstacles and scheduling conflicts. Just making the decision to demo trade until you are successful on Nadex could mean the difference between blowing your bankroll and starting a profitable career as a binary options online trader. 6. You might actually start planning your trades intelligently with a real trading method. As I mentioned at the start of the article, the Nadex trading platform offers dozens of indicators and drawing tools to plan your trades. Most broker sites offer very minimal tools for planning trades. If you have never worked with advanced charting software before, this platform will blow your mind. While obviously having these resources and tools available will not force you to learn how to trade with a real method, it may inspire you to do so. There is nothing you need to download. And with dozens of indicators and drawing tools at your disposal, there are thousands of trading systems you could utilize. Use these tools to come up with a system, and you will have an edge in the markets that can help you to win time and again. The vast majority of binary options online traders either have no trading method or they have never tested one to the point of becoming an expert. If you do, you will have the chance to enter the elite ranks of successful traders. 7. You can minimize your losses and maximize your wins with early close. If you have traded on a website without early close, you were given very limited tools for controlling open trades. Many sites without early close still offer double up and rollover, but both of those are tools for staying in trades past the expiry time. Neither are tools for getting out of open trades before they expire. Early close is a Nadex feature that can totally change the way you trade. With it, you can get out of a winning trade with a partial profit if you believe it will turn against you. You can also get out of a losing trade before it becomes a bigger loss. Doing this can help you to minimize your losses and maximize your gains. While many other binary options online sites do offer early close, many also restrict it to certain conditions. So when you need it most, it may not be there for you. With some trading systems, the ability to close out of trades early may literally mean the difference between profit and failure. Now you not only know the benefits of Nadex trading, but also how those benefits can revolutionize your trading. So if you are tired of struggling with your current broker, or you are trading for the first time and want an exchange you can really trust, . You will be thrilled that you did, especially when you finally start achieving steady profits!